If you haven’t heard or read about it, you will probably not even notice the place. 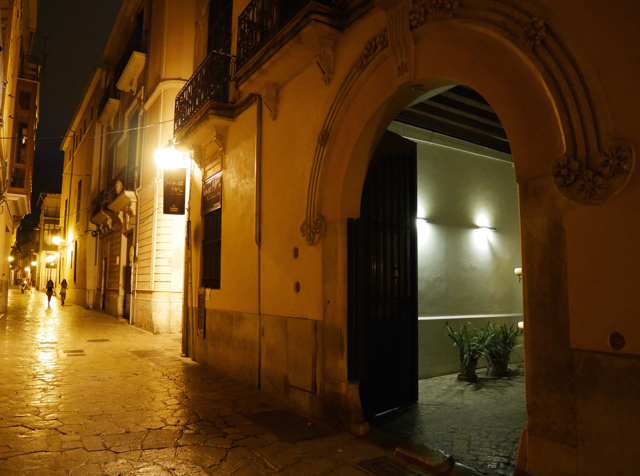 No sign marks the entrance on Carrer Sant Jaume, but if you cross the candle-lit patio and open the door at its rear end you will discover one of the best restaurants in Palma. 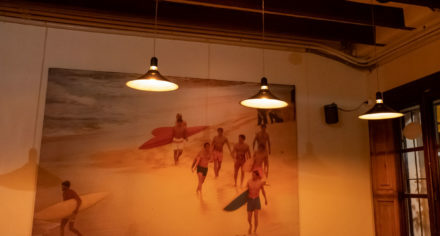 The dark, secluded rooms, the conservative interior and the wooden panels very much remind me of a London club. 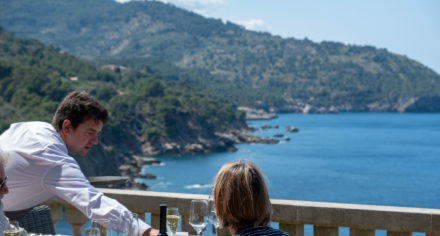 Fortunately, however, Tast Club is not just a club, but a classy restaurant with a small but exquisite menu comprising a best-of Mallorcan dishes you shouldn’t miss. 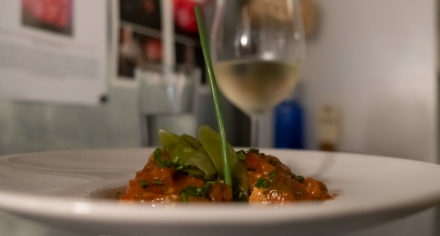 It is getting more and more popular in restaurants to offer small and regular portions – Tast Club follows that line, perfect for people like me always struggling to make a choice. With the small portions, however, I can try several dishes and create my very own full-course dinner. 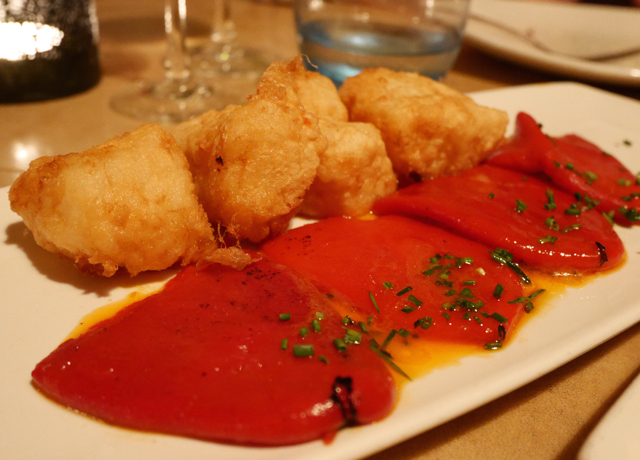 Among Tast Club’s classics are meat, fish and seafood as well as salads and tortillas. My personal favorite, however, is fried artichoke with parmesan and truffle oil – yummy! 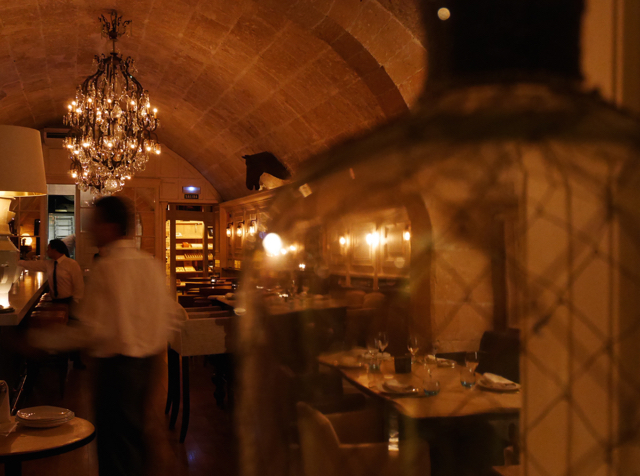 No less impressive than the food are the premises – almost like a maze with its many rooms, the elegant chandeliers, the beautiful long bar and the large humidor. Even if you don’t smoke, this is pretty impressive just to look at. Make sure to remember the location, it’s defintely worth getting back.